The healthy function, or disease-fueling dysfunction, of any given organ stems from the behavior, or misbehavior, of the individual cells that make up that organ. Recent technological advances have enabled scientists to analyze the actions of cells, one at a time, but these technologies can yield only static snapshots of cellular activity. Capturing an individual cell's behavior as a process that foretells its future rather than an occurrence frozen in time has thus far eluded scientists. Now, for the first time, researchers at Harvard Medical School, working with colleagues at the Karolinska Institutet in Sweden, have succeeded in going beyond such cellular freeze framing and managed to capture a cell's decision making as a dynamic process during which a cell determines what to do and where it's headed. The approach, described Aug. 8 in Nature, is a mathematical model that estimates RNA velocity—the rate of RNA change over time—as a predictor of cell fate on the timescale of hours. The ability to capture cellular intent can help scientists better analyze cell function and dysfunction in complex tissues and organs—those composed of various cell types. In addition, it could help monitor how organs develop and how they respond to a given drug or therapy at the cellular level—an insight that can help gauge the efficacy of a treatment. For their predictive model, scientists captured changes in mRNA, a messenger molecule that interprets the genetic code embedded in DNA and translates these instructions for cells, in essence giving them marching orders on how much of which protein to make. "Estimating RNA velocity—or the rate of RNA change over time—is akin to observing the cooks in a restaurant kitchen as they line up the ingredients to figure out what dishes they'll be serving up next," said Peter Kharchenko, co-senior author of the study and assistant professor of biomedical informatics at Harvard Medical School. The scientists measured trace molecules—markers already being captured during standard single-cell analyses—but often dismissed as "noise." 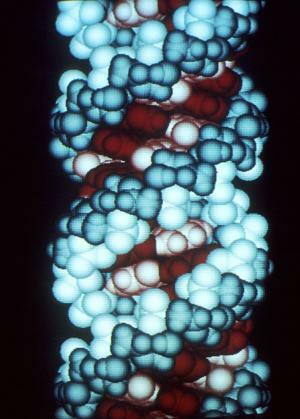 Transcription, during which a cell reads parts of its DNA to produce precursor messenger RNA, or pre-mRNA, in a nascent form. Splicing and other processing, during which the nascent pre-mRNA is edited into a mature mRNA molecule—the written marching orders that guide the making of functional proteins. Nuclear export, during which the genetic marching orders, written in the mature mRNA, get exported from the cell's nucleus—the vault where genetic code is kept—and into the cell cytoplasm for processing. Translation, during which the mature mRNA releases the written orders and turns them into functional proteins. Degradation, during which mRNA, having done its job, is chopped up and marked for destruction by recycling. During this cycle, cells contain a mixture of mRNA in various stages—newly made, nascent pre-mRNA, mature mRNA and fragmented, chopped-up mRNA on its way to being recycled. Each stage bears a different molecular trace that can provide clues about a cell's future direction and ultimate destiny, the team hypothesized. "We reasoned that by distinguishing mRNA molecules in different stages of the life cycle, we would capture past, present and future states of individual cells," Kharchenko said. To stay alive, a cell never stops moving. At any given moment, cells are turning up and down hundreds or thousands of genes, a process marked by different levels of mRNA expression. Even when a cell is not trying to change its course or identity, it is in a state of equilibrium, marked by the steady production of nascent mRNA and the degradation of mature mRNA. This balancing act ensures that a cell keeps a constant amount of fully functional mRNA molecules to maintain its status quo. However, shifts in either direction—too much nascent mRNA being cranked out or too little—portend changes in cellular behavior, a telltale sign that a cell is on its way to transformation. By measuring the ratio of mRNA in various stages of expression, the scientists were able to predict a cell's trajectory and end state—what type of cell it's trying to become. The brain, for example, is made up of several types of nerve cells that arise from a common progenitor cell. But ultimately, adult neurons, which transmit nerve signals, have very different capabilities and functions from glia, the support cells that shield and nourish neurons. "During this cell differentiation process, hundreds of genes get turned on or turned down, depending on what type of adult cell the progenitor cell is trying to become," Kharchenko said. By analyzing the amount of different mRNA markers that a progenitor cell produces during this "coming of age," scientists could figure out where the cell is headed, what cell type it was going to become. To verify the accuracy of their model, the researchers tested its predictive strength by measuring cellular markers in several datasets containing information about cells in mouse and human tissue during maturation and differentiation. Analyzing RNA profiles of individual cells, such as the progenitor cells of neurons from the human forebrain or precursors of neuroendocrine mouse cells, the team confirmed that the predicted future state of the cells accurately captured what they were trying become. In another set of experiments, the scientists measured the predictive accuracy of the model in cellular processes other than development. The model accurately predicted the final state of mouse neurons activated in response to light. In yet another, more complex, example, the team measured RNA velocity as a predictor of cell fate in a set of differentiating cells obtained from the hippocampi of mice, a region in the brain that houses functions such as long- and short-term memory and spatial orientation. Researchers analyzed RNA velocity in more than 18,000 individual cells using molecular markers to identify the direction and predict the ultimate fate of brain stem cells or intermediate progenitor cells. Again, the analysis confirmed that the predicted future of the cells aligned accurately with their ultimate fate. Strikingly, the scientists observed, the RNA velocity patterns showed that many seemingly similar cells found around critical decision-making crossroads were already moving in distinctly separate directions that portend different cellular fates. The approach could eventually help scientists glean valuable insights about a range of developmental disorders, the team said. "RNA velocity shows in detail how neurons and other cells acquire their specific functions as the brain develops and matures," said Sten Linnarsson, co-senior author on the study and professor of molecular systems biology at the Karolinska Institutet. "We're especially excited that this new method promises to help reveal how brains normally develop, but also to provide clues as to what goes wrong in human disorders of brain development, such as schizophrenia and autism."